With the series finale wrapped for Parks and Recreation, and at 10:59 p.m. on a Tuesday at that, NBC no longer has any claim on Thursday nights — or any night, really — as Must-See TV for sitcoms. The only network with a successful comedy programming block, as the definition of “successful” continues to slide under the weight of increasing competition from scripted and unscripted series on cable and streaming networks, is ABC’s Wednesday-night lineup of family comedies. The Middle remains an underrated and underappreciated anchor, with its sixth season kicking off the night at 8 p.m. ET/PT (7 p.m. Central and Mountain). The Goldbergs not only has slid into Wednesdays from Tuesdays for its second season, but builds on the audience from The Middle with a loving tribute to the 1980s. Modern Family continues to rack up among the best ratings and most award nominations for comedies today, even if those sixth-season ratings have slipped in 2015 in the wake of FOX’s brash new soapy hip-hop hit, Empire. And black-ish is both a critical and popular hit in its rookie season, finally giving ABC an appropriate companion half-hour to Modern Family. But about Empire. It really has exposed the potential weakness of ABC’s Wednesday comedy lineup. The changing landscape, too, sees a generation or two transitioning from watching TV when it’s scheduled to watching it online or on demand, making the likelihood of a must-see comedy lineup more and more unlikely. At least for the broadcast networks. Over at HitFix, Alan Sepinwall followed up a reader’s query about NBC’s last great Thursday lineup — Community, Parks and Recreation, The Office and 30 Rock — with two even bigger and better lineups: the mid-1980s NBC Thursday of The Cosby Show, Family Ties, Cheers and Night Court, and the mid-1970s CBS Saturday of All in the Family, M*A*S*H, The Mary Tyler Moore Show and The Bob Newhart Show. He also asked his readers to nominate their best all-time comedy blocks. 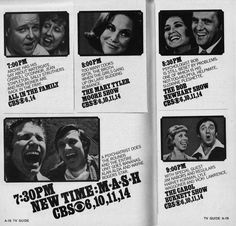 On this Throwback Thursday, let’s throw it all the way back to the beginnings of TV and take a look at the all-time great powerhouse nights of sitcoms, sketch and comedy variety programming in network television. Spoiler alert: There will be no celebration of the ABC TGIF lineup that you Millennial kids grew up watching. Sorry. But no amount of your childhood nostalgia actually makes any of those shows better in retrospect. We know things now we didn’t know then, but the fact remains: The Cosby Show was the juggernaut that launched NBC’s Must-See TV Thursdays in the mid-1980s, buttressed by the very-1980s Family Ties and workplace comedies Cheers and Night Court. NBC’s comeback was so strong it had a second four-sitcom bloc on Saturdays. 1989-90 ABC Wednesdays: Growing Pains, Head of the Class, Anything But Love, Doogie Howser M.D. 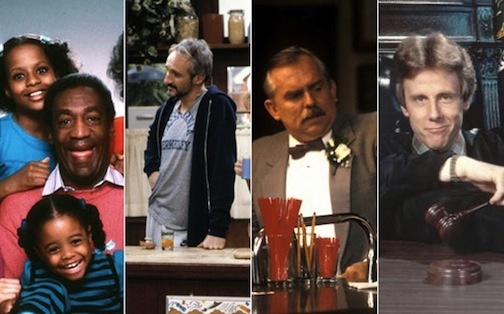 What’s your favorite all-time network TV comedy lineup? How would you rank them? What’s your, hey Chris Rock, what’s your TOP FIVE? 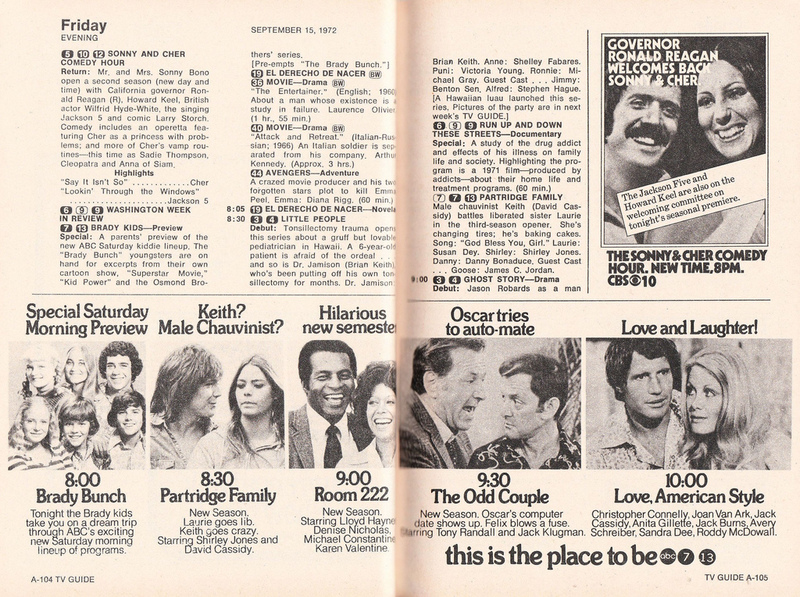 I’d go with 1973 CBS Saturday, 1985 NBC Thursday, 1993 NBC Thursday, 1978 ABC Thursday, 1992 FOX Sunday. But you might be able to change my mind on that!